Fallout 76 is a game without much voice. Only the machines seem to talk: the Mister Handy robots pootling around Appalachia and the recordings that can be found left on holotapes. What’s odd is that there are players everywhere, it being the first MMO in the Fallout series, but all they can do is thrust thumbs-up emotes at each other and voice chat to nearby strangers. The first of the surviving population to emerge from the Vaults find themselves in a muted world. Well, it would be if it wasn’t for Inon Zur’s soundtrack, which gives voice to the bomb-blasted West Virginian landscapes, orchestral notes swelling as players venture across the hills and dips of this toxic world. Due to the quietness of the game that soundtrack is more prominent than in any prior Fallout title. That darkness and destruction is something Zur leaned into with his score for Fallout Tactics. The 2001 RPG followed the Brotherhood of Steel into a devastating war, and so the music was given a militaristic hardness – a stampede drumming into the heart of battle. To achieve this, Zur used samples and recorded music “based on organic elements found in the Fallout universe.” Percussion was metallic and blended with haunting synths that sounded as if it had been riding the dusty winds blowing through the huge empty steel husks dotted across the wasteland. flora and fauna of the radioactive world. From there he “added orchestral layers to make the sound more epic.” The result was a soundscape that moved from grandiose orchestral sections when faced with the horizon to more tight and tense percussion in smaller areas. This helped to capture the Commonwealth’s massive size in one moment and then the overwhelming isolation it can make you feel in the next. 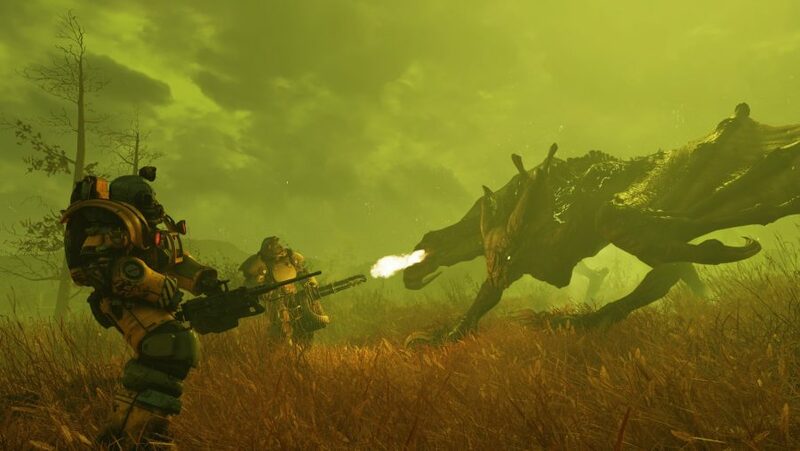 The soundtracks for Fallout: New Vegas and Fallout 4 were constructed with largely the same thinking behind Fallout 3’s – except Fallout 4 had the added theme of “building anew.” Through orchestral layers Zur aimed to give both games a sense of the sheer scale facing each lone player while drawing attention to the macrocosmic size of the post-apocalypse. But Fallout 76 had new requirements from the soundtrack and not just because it’s a multiplayer experience. With Fallout, Zur discovered “a totally new and exciting world,” which he approached “from a very different mindset” compared to previous games he scored. Notable titles that Zur scored include Baldur’s Gate II, Dragon Age: Origins, and Men of Valor. He also worked in film and TV for six years before scoring his first videogame - 2000’s Star Trek: Klingon Academy. 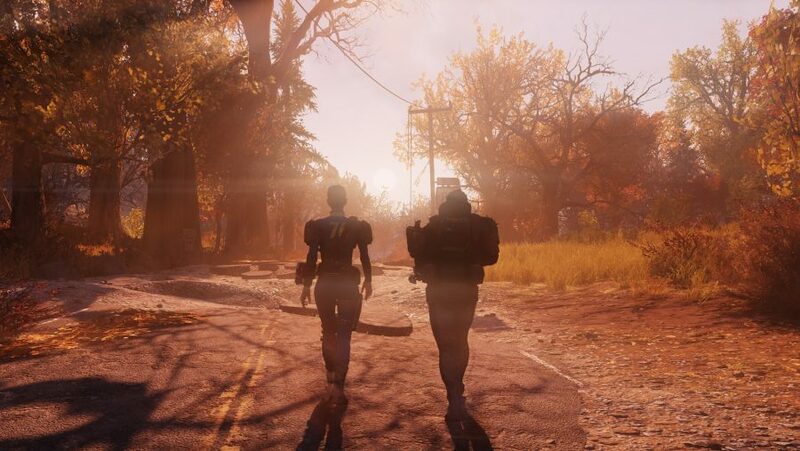 Compared to previous Fallout games, Fallout 76 is far more optimistic in terms of its sonic composition, as “the game’s themes of hope for the future and rebuilding your world are the primary narrative for what the music is portraying.” There are plenty of dangers to be faced outside the Vaults but Fallout 76 players the chance to group up and work together to build fortresses they can call home. The soundtrack is intended to be a reflection of that: you can hear it as each song builds, individual notes played in a major key coming together to form chords, much like the steady collaboration of players. 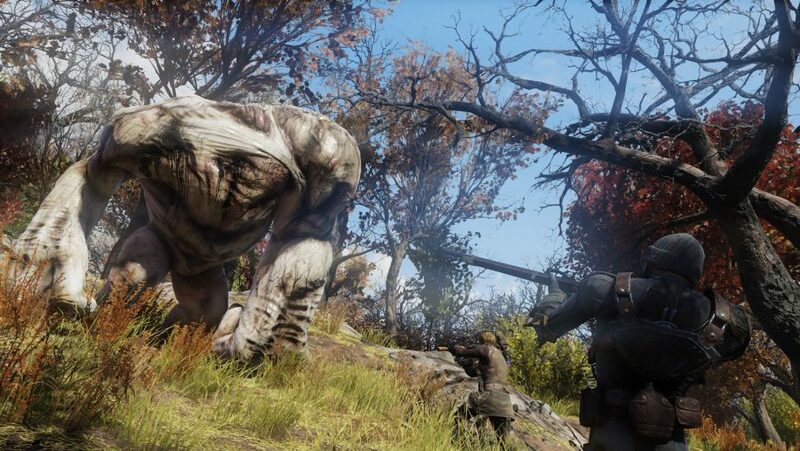 Through West Virginia’s swamps and forests there are more greens in Fallout 76 than the rest of the series. In a world devastated by nuclear apocalypse, the glory of the wilderness stands out, proof that life can survive and encouraging players to get busy. “Although there was a lot of destruction, we see the beauty of nature and we’re ready to start rebuilding the world,” Zura says. But the overall soundscape can’t forget the game series it’s a part of, which is why the Fallout 76 theme “takes some inspiration from the music of the Commonwealth,” peppered with those key sounds Zur used in Fallout 3. However, those recognisable instruments have been moved into the background to represent the motif of creating “a new world out of the ashes.” But for Zur, this collage of sounds from across the series also represents the complexity of the Fallout world. “You cannot really describe it with a single theme; you need a variety to cover the whole picture,” he says. You can see Inon Zur performing live at the Hammersmith Apollo on November 3 with Bethesda Game Studios in concert. The concert will feature the famed music of Fallout and The Elder Scrolls, and all proceeds from the concert will go to the War Child UK charity.